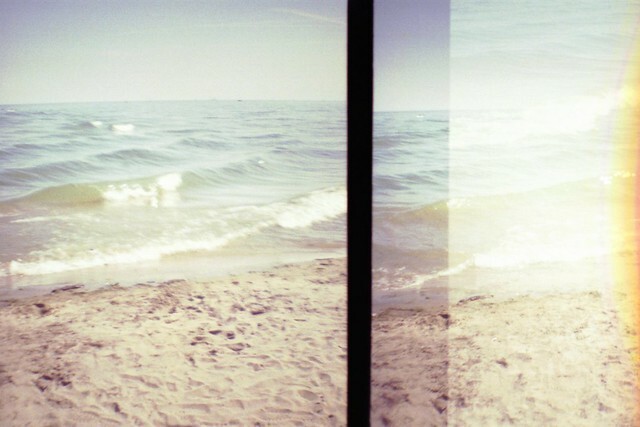 I took my Diana Mini with me to the beach, set to the half-frame option. I'm so thrilled with the results. 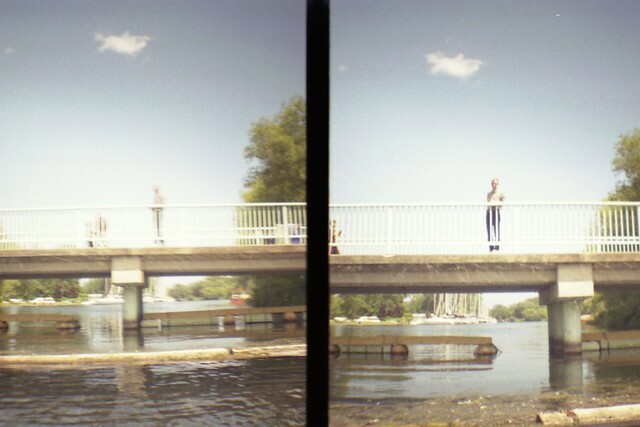 I've had the Diana Mini since January, but I was almost surprised by these pictures. 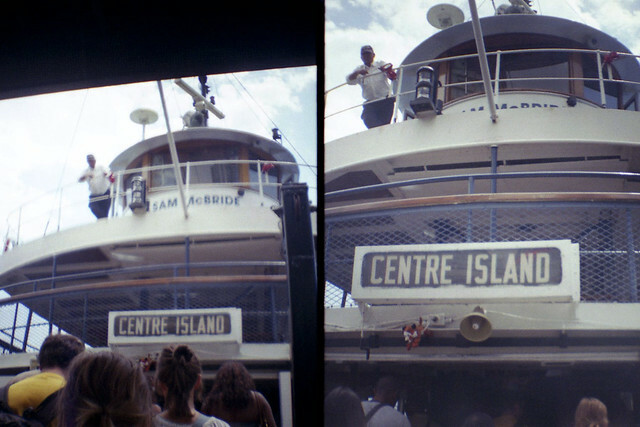 I think this camera really sparkles with the half-frame setting, especially when a specific diptych works well. I recently found out that Lomography has just released a Diana Mini clone in all white, and even though I can't have it (owning two versions of the same thing is a bit excessive! ), I want it desperately. The full set is here. The ultimate summertime camera. Caitlin had posted a link to this incredibly amazing and ridiculous swan pool toy on Twitter, which reminded me of the swan boats ride at Centreville. We made a quick stop and Caitlyn and I rode one. Geoff gave up his seat on the swan (that's him waiting for us on the bridge) because only two adults can ride at once. It was pretty fun, though! Then we shared a funnel cake with the works! Yum. I also wanted to mention that the Summer Water shop is up and ready for browsing. The shop will be live at 2PM EDT tomorrow, August 2. Since we're testing Big Cartel we're using the free option which only allows for one product shot, but there are more detailed pictures in the Summer Water set on Flickr. kater: Thank you! Oh, I'm so glad and I hope you enjoyed your beach day! I am so envious of people who have ocean beach access! carly: Oh yes, definitely. I'm listening to them now. Spooky good. Dress up scientist: Thank you! I'm so happy that you're excited. Kate: The beach is basically the perfect place. Next time I hope to visit a beach where one can actually swim in the water. Alyssa Zygmunt: Yeah! Such a cute cat. Juli: Thank you! 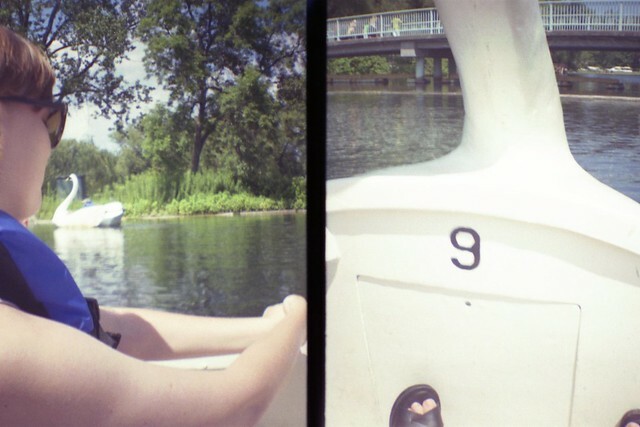 I was pretty pleased with that little boat picture. Perfectly centered! D: Thanks for all your sweet comments! Ella: Ha, I know the feeling! taylorkitto: Thank you! 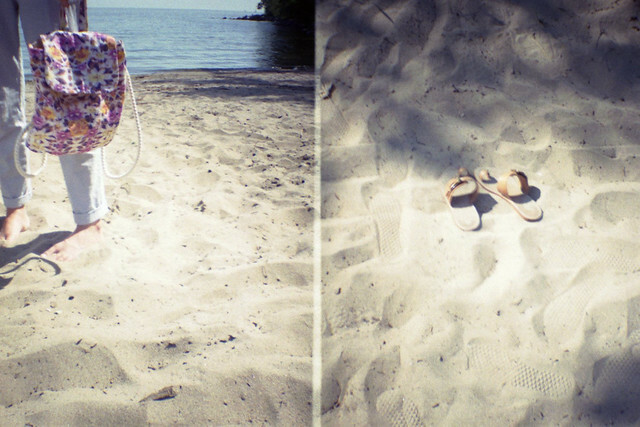 Summer forever! etre-soi: It was such a lovely day -- perfect temperature (about 25 degrees!). ilovesasek: Thank you! I don't take advantage of the island nearly enough myself. I could hardly remember the last time I had been there... I think it was about 8 years ago! Now that I know how easy it is to navigate and how inexpensive it is to get there, I hope to go regularly. Jenny: Thank you! 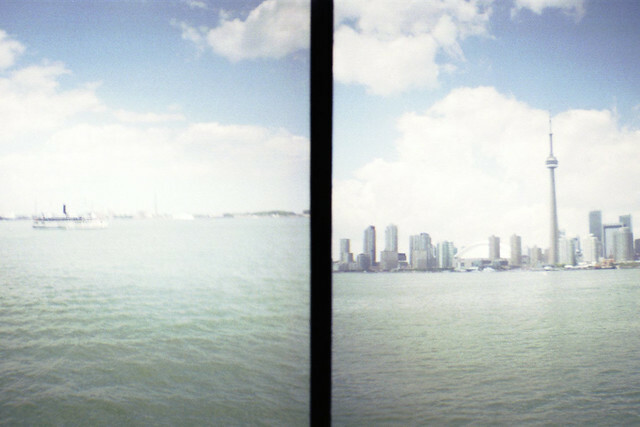 Yes, Ward's Island is pretty special. We got about three pictures with the 360 and I think I will post them later this week! erica-knits: Thanks, Erica! I've been trying to get better, and you know, sunshine is SO helpful when it comes to taking nice pictures! Caitlyn is a great model. The ultimate summertime camera indeed. Love these photos. 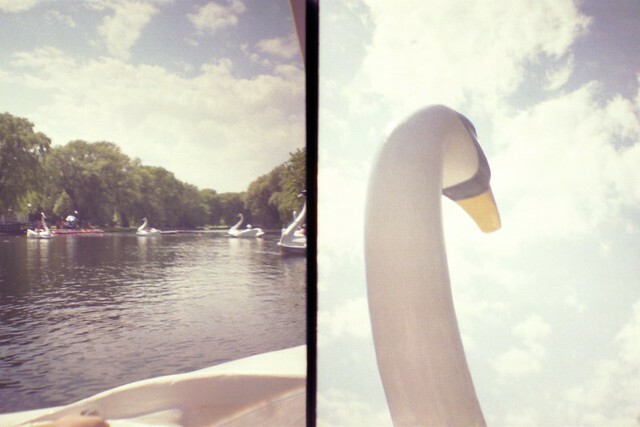 Swan boats! Sigh. Also, what's this business about funnel cakes topped with the works? I've only ever had them topped with powered sugar. Apparently, here's yet another amazing Canadian thing: enhanced funnel cakes?! Oh these are so lovely! They take a great photo. I love the swan boats! Is that a glimpse of a Kork-Ease sandal I see in the photo of the inside of swan boat #9? I'm so torn between the shore pack and the lake tote :p AHHHHHH! Oh what dreamy photos. I'm tempted as well to get some film action going. Unending inspiration! The half photos look great, really atmospheric. Looking forward to trying to snag one of bags. Was wondering if you will be shipping internationally and if so whether you might consider putting a first class option (instead of priority mail). It is so much cheaper. Sorry hope that doesnt sound rude of me. Wow, so many great shots! Ooh, please keep us updated on how Big Cartel works for you (and feel free to give any tips - hehe)! The photos are fantastic! 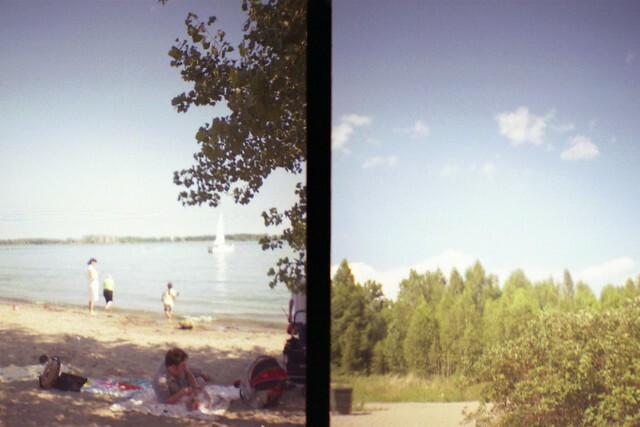 I have a Diana Mini too, but my I haven't been getting very clear shots. Are you using 400 ISO? I hear it works better with lomography than 100.